Since its launch in 2007, the iPhone has consistently grown its presence in the market, behind Apple's marketing & ability to create a cult-ish following. Today, it has become the second largest smartphone platform in the industry. The smartphone industry itself has grown by nearly 50% over the last year. Looking at this, it's natural to assume that the iPhone will continue its growth trajectory, just like Android has. Not so fast, let's take a deeper look. Apple's products, specifically the iPhone and iPad, follow a sales cycle where sales peak at the launch of a new product and tail off just before the launch of the next version (for example, before the launch of the iPhone 4S). Now that the iPhone 4S launch is complete, expect this same trend to come to continue with demand slowing and tailing off until the launch of the iPhone 5. As the gap between the launch of the iPhone 4 and the 4S was 15 months, it created great pent-up demand for the new iPhone model. Apple's strategy of following 2 year contracts created demand from iPhone 3GS users who were not able to upgrade to the iPhone 4 last year. In order to compete with Android at the lower end of the market as well, Apple made a move to sell older models at lower price points. This undoubtedly boosted sales, but would have cannibalized sales of the iPhone 4S as well. In conjunction with this, the most anticipated Android handset, the Galaxy Nexus, didn't launch in the US until December 15th. This created a similar sales cycle effect on Android sales in Q4, with buyers holding off purchases until the Galaxy Nexus was available. Due to this impact, smartphone sales in the US slowed in Q4 and Android's share of handset's sold in the quarter reduced to about 48%. Now that we've understood the iPhone's Q4 performance and have a fair understanding of where it's headed in 2012, let's have a look at the long-term outlook of the iPhone. Despite the iPhone being a premium product, it is available from carriers in the US & Europe on contract, for carrier subsidized prices. Even though the handsets are available on contract for the same prices as high end Android phones, Apple demands a much higher subsidy from carriers (at $450 per device) than what Android manufacturers do. As a result, the iPhone is far more expensive for a carrier to sell than an Android handset. The impact of these subsidies gets even worse once we take into account the move by Apple to sell older iPhone models at lower prices. Why do carriers go along with these terms? The easy answer is because they want to maintain their market share and are afraid of losing customers to other carriers. But the real answer is a little more complex than that. One of the reasons is that increasing smartphone penetration (currently around 50%) drives increasing data usage, which is the real revenue driver for carriers. As smartphone penetration increases, the carriers would have less motivation to continue their massive subsidies on the iPhone. 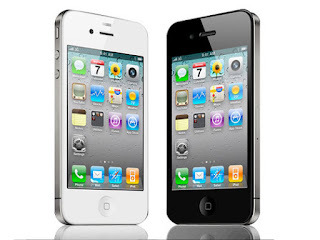 As a result, they would either demand better terms from Apple or increase prices of contract iPhone sales to consumers. The most likely outcome is the increase of contract prices, which would have a direct impact of sales volume. Another factor compounding this problem is the network data crunch caused by the staggering growth in data usage. As carriers need further investments to shore up their network infrastructure, they will be even more unwilling to allow Apple to bully them into submission. I've heard arguments that this is similar to the case of Walmart squeezing supplier margins. That is a false analogy, because Walmart doesn't need an individual supplier as much as Apple needs individual carriers - I need a whole new paragraph to delve into this, so keep reading. Why does Apple need carriers? Apple's profitability is driven by the large margins it makes on its products. As the iPhone is responsible for over 60% of Apple's revenues, the iPhone's pricing model is one of the key factors driving their profitability. In developed markets, with the carrier subsidized model, this isn't a problem for consumers. But in emerging markets, where Android is even more dominant, carriers aren't as willing to bow to Apple's demands. In addition to this, the carrier subsidized smartphones haven't really taken off in countries like India, where outright purchases are more popular. In India, the iPhone is priced at least 20-25% more than high end Android handsets and Samsung is overtaking Nokia & RIM to be the market leader. Apple clearly has had a difficult time penetrating emerging markets, which makes its dependence on carriers in developed markets even more critical. Conclusion - Carriers will have no choice, but to raise prices of iPhones on contract, which will undoubtedly impact the market share of the iPhone. True that. The carrier issue has always been a problem with the iPhone. I'd take an uneducated guess and say the number of phones bought on contract here 'might' be wayyyy less than what's bought on the grey market or through friends/family members living abroad.